September is the stepping stone to October and we all know what that means. 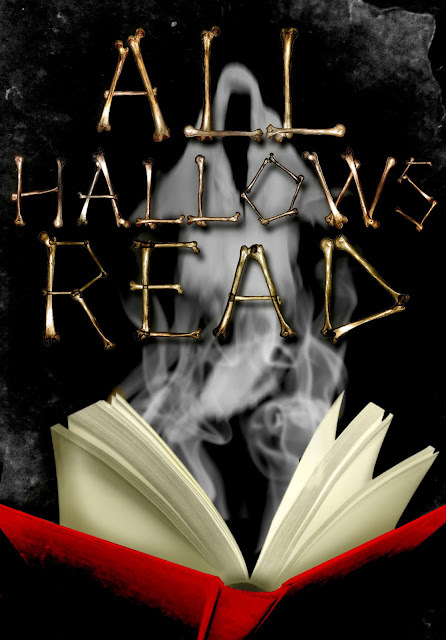 Time to get ready for All Hallows Read. What better way than with a free poster or five? 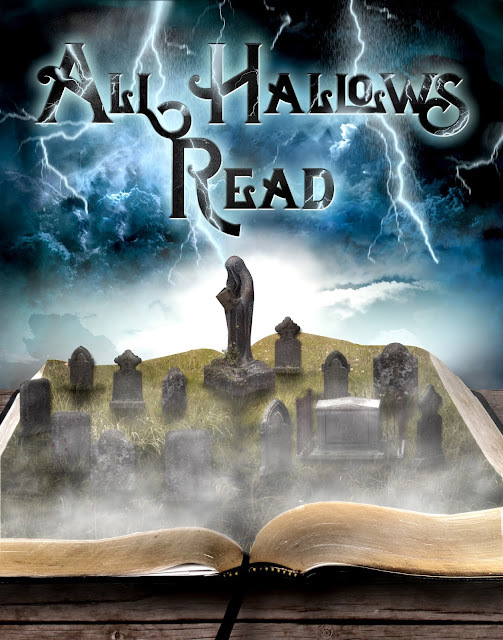 This is my sixth year making free posters for anyone to share and use to advertise All Hallows Read. Free! I'm trying something a bit different by hosting the files at dropbox. They're also at deviantart, if that's easier to download off of. You can download the whole lot for this year from a file here right now if you'd like. I also included all of the past years in the dropbox file so you can add whatever you want whenever. Now let's get to the new ones! Bones -You never know what you find when you open a book. Tombstone - I wanted this one to feel like those old book covers from the 70's and 80's. Haunted nostalgia. 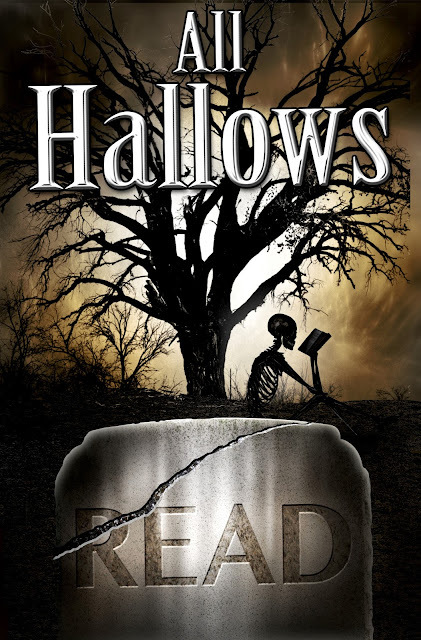 Graveyard - A statue reading a book inside a cemetery inside a book. Don't Blink, you might miss the best parts. 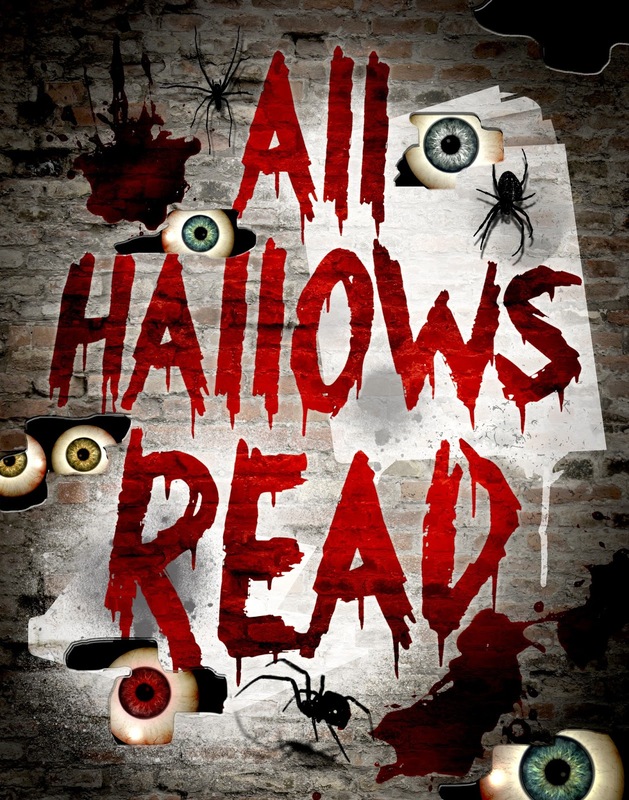 Bloody Wall - Sometimes you just need giant eyeballs, spiders and a touch of gore. It's Halloween, let's get spooky. Once again, they're all free, all of 'em. So download the links, print, and decorate to your heart's content. 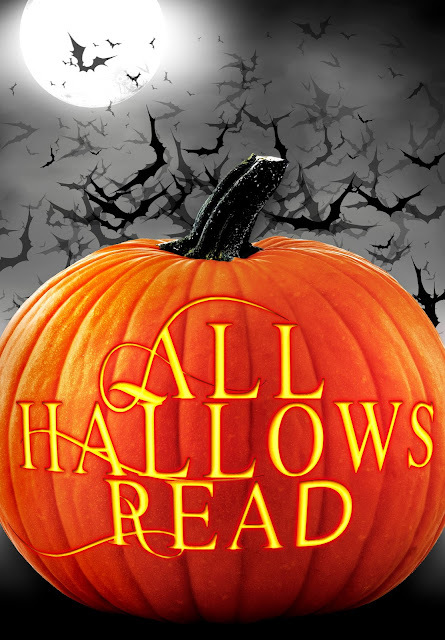 Deliciously spooky. I put them in my screensaver. Thanks for making them available. Thank you so much for these. I've used them in many places--at home, at work, and even the school district library.